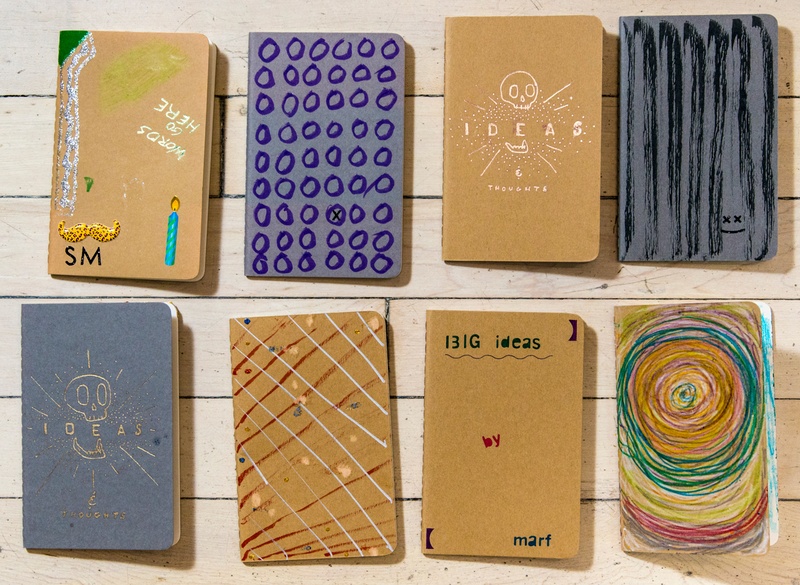 A pocket notebook can help unleash creativity, and allow you to document it whenever it strikes. I’ve wanted to be a writer since I was a little kid, and for as long as I can remember I have carried a pen and paper with me pretty much everywhere I go. Each morning before I head out the door, I grab my unruled Moleskine Cahier pocket notebook and my Baron Fig Squire penand put them in my pocket. If they’re not both there, I can feel it. I realize that I don’t need to do this, because I could just as easily and more conveniently type notes into my phone’s Evernote app, but when it comes to writing down ideas — no matter how big, small, pragmatic or absurd they may be — pen on paper is my favorite way to go. It makes even the tiniest ideas tangible. If I don’t write something down right away, chances are pretty high I’ll forget it, and I’ll chastise myself about it later. I’ll almost always remember that I had an idea, but I won’t remember just what that idea was. Once I fill a notebook, I go through it and transcribe the pages into a digital document, excluding the scribbled ideas and thoughts I can’t see being beneficial or useful. This step helps me weed out the nonsense, and keeps me from filtering myself when writing in my notebook. I also doodle and decorate my notebooks despite my admitted lack of skill when it comes to drawing. 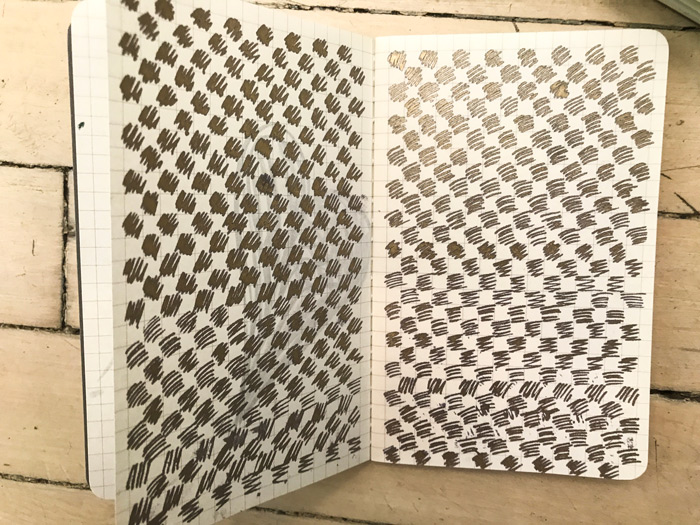 When I start a fresh notebook, I write down the date and then I spend some time writing or drawing designs on the book. 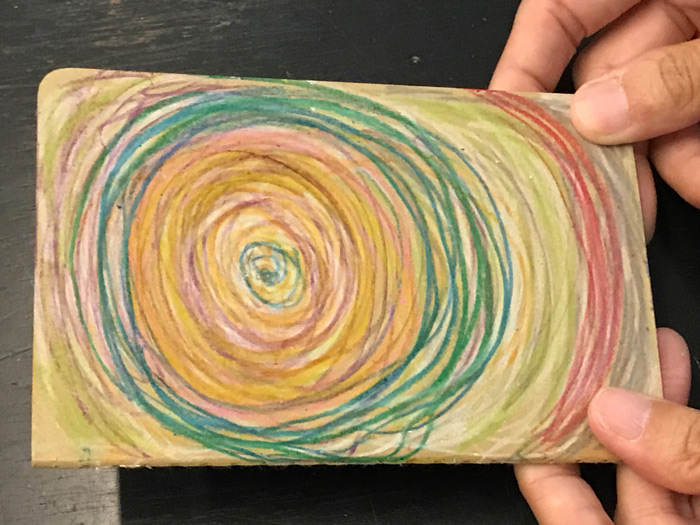 I view each one as its own entity that reflects a time in my life, no matter how short or long, so I attempt to personalize them in a way I feel fits my general vibe at the time. 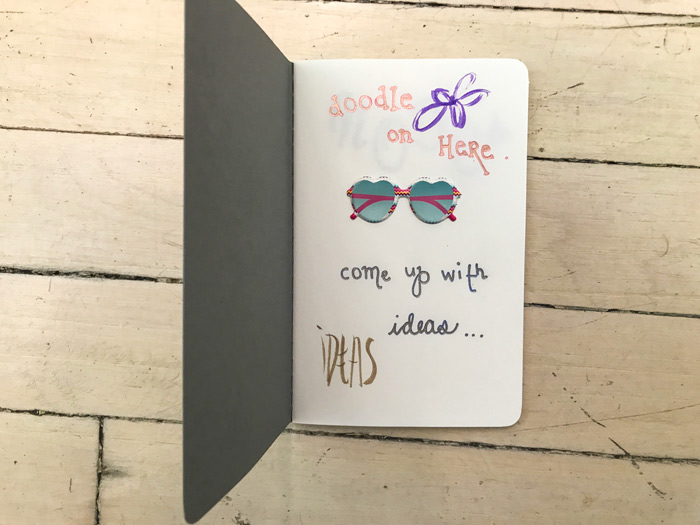 I also go through the notebook and write down prompts, quotes or affirmations that I will come upon randomly as I make my way through it. Sometimes these spur an idea, simply by way of surprise. 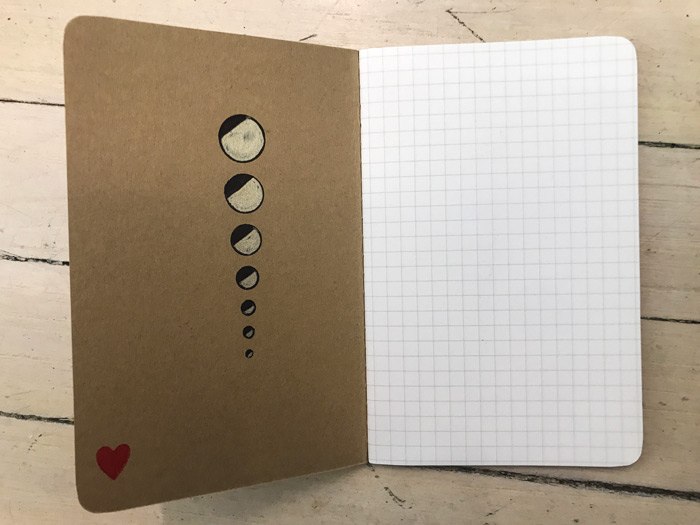 I began using Moleskine Cahier notebooks in 2017, after trying about 100 different models through the years. My reason for switching and staying serves a purpose for creative inspiration that I learned from B.J. Novak, a writer and actor best known for his work on The Office. Novak has said he prefers the thin Cahiers not just for portability, but for the sense of accomplishment he feels when he finishes filling one up. 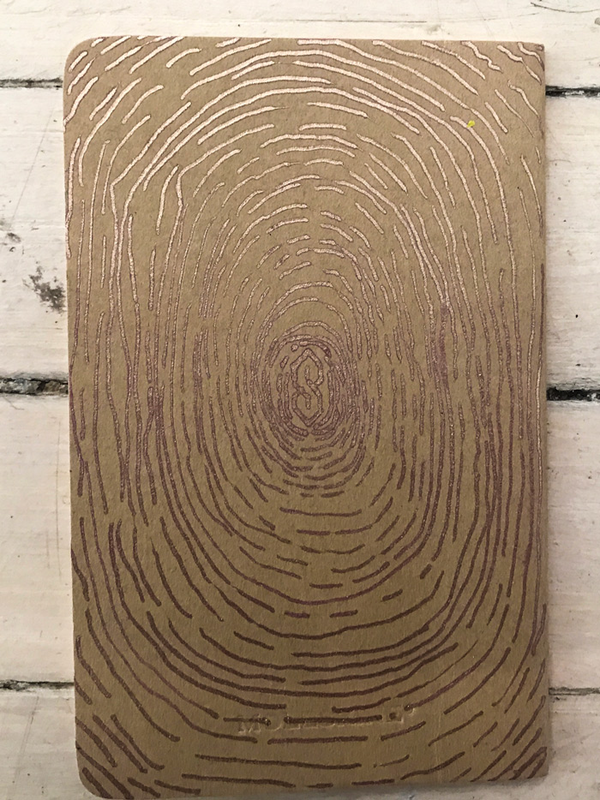 Since the notebooks have fewer pages than many pocket notebooks, I find that I’m pushed to write in them more and fill them up, and that I tend to get the same sense of satisfaction I would from filling out a longer notebook. If I compare my Cahier stacks from so far this year with stacks from previous years, I can see that I’m writing more than I have at any time in the past. 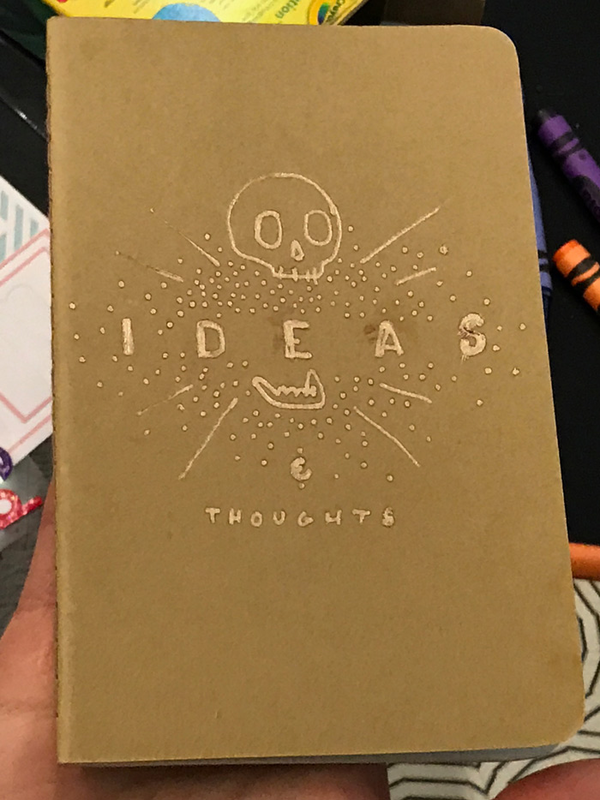 For my Maker Studio Friday, I wanted to share with my colleagues at ThoughtMatter my odd but regimented documentation process, and give each of them the chance to decorate their own Cahier, albeit with more supplies than my usual black ink pen. 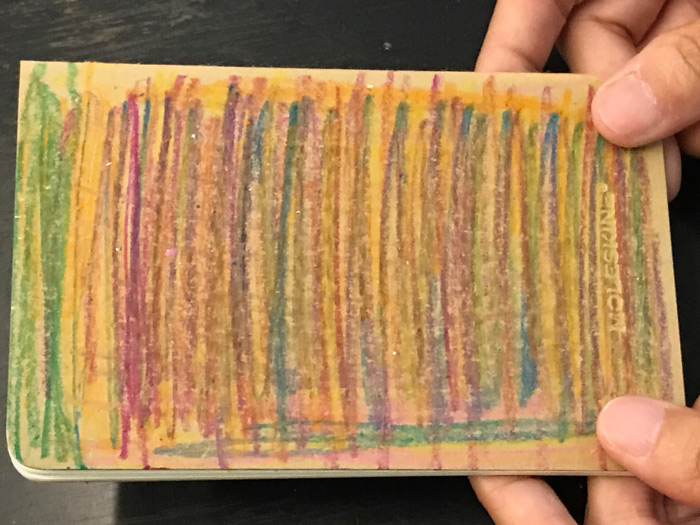 On a Friday afternoon over some wine and a rum punch concocted from ingredients we culled from around the office like Macgyveresque mixologists, we busted out the gel pens, markers, stamps, glitter, crayons and stickers, then brought our individual aesthetics to some notebooks. The ideas, as you can see, reflect the creatively and aesthetically diverse of all of us here at ThoughtMatter. 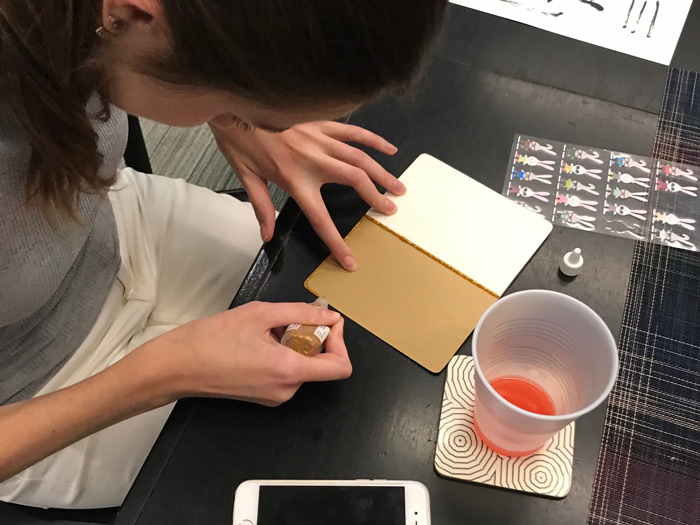 This summer at ThoughtMatter, we’re ending every week with a “Maker Studio Friday” activity. 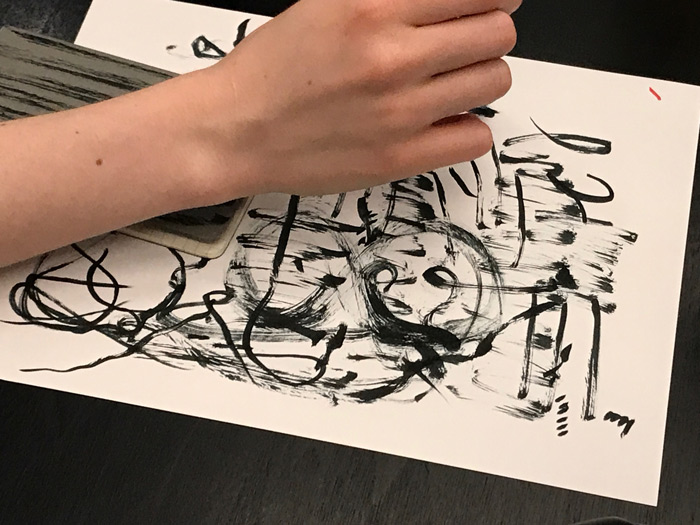 During each session, a different studio member leads us through a hands–on activity that results in each of us having made something with our hands and minds. The activities help us keep our minds open, and pushes us to create better and more innovative work for our clients. This post was written by ThoughtMatter Senior Copywriter Scott Muska. ThoughtMatter is a creative branding, design and strategy studio in New York City’s Flatiron District. Find us on Twitter.